The people in Budapest are built like models, or gypsies. There seem to be plenty of both. They are tall and thin, and the city seems to have correspondingly huge doors to accommodate the average height. I went to the Hungarian National Museum and there was a doorknob higher than my head. I took a photo of it with my hand stretching for reference, but it’s not very pretty. 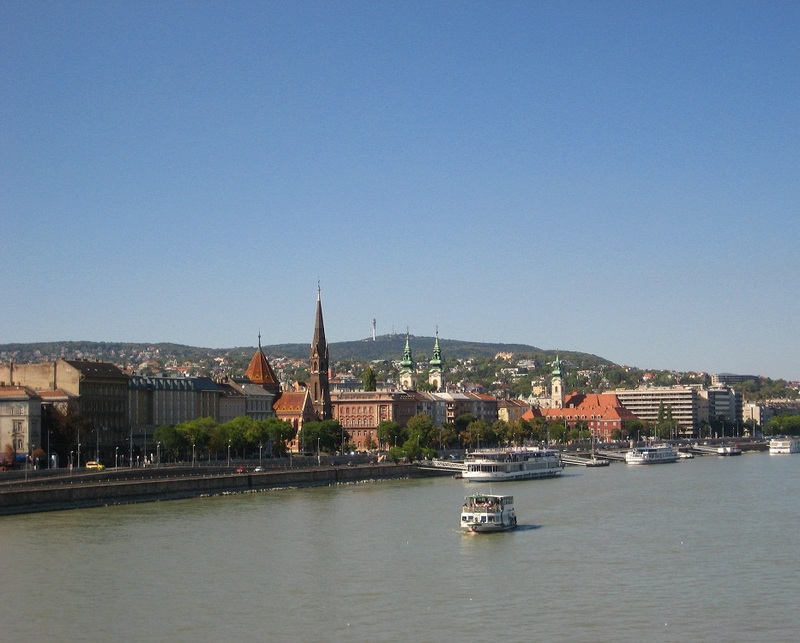 Budapest is a heavily toured place, especially among young backpackers; it has the number 1 and number 2 clubs in Europe. Szimpla, aka no.2, is an old ruin pub in the Jewish Quarter, Budapest VII, specifically on Kazincky Utca, a little street full of bars and a center of Budapest nightlife. It’s underground, trendsetting, has an impressive junkyard interior where you can sit in old cars and climb up wobbling spiral staircases, but to be honest I found it boring. It felt contrived and marketed, and when you stepped back, most of the floor was a setup of cafeteria tables. Perhaps it was once a cool place, but now it’s where they send all of the tourists who long to say they were in one of Europe’s best clubs according to somebody’s official rating. And maybe its appeal is its shows and live music, which I didn’t see. Whatever the case, I went there two nights and only stayed briefly. 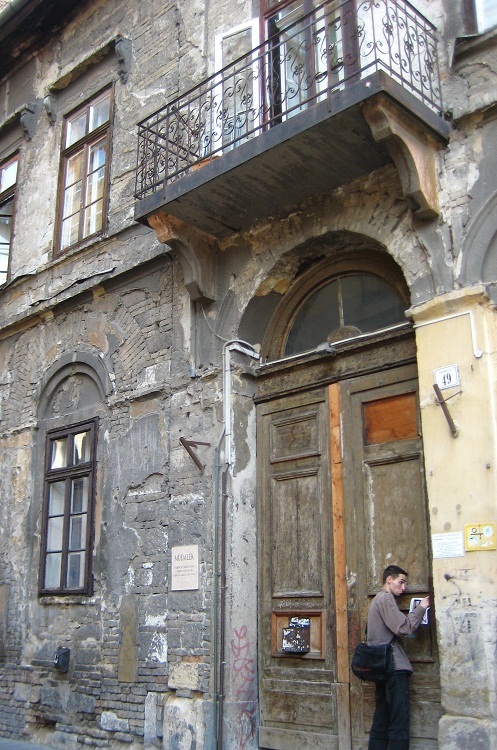 How different this packed, lively street looks in the daytime: a dead quiet row of ruined old buildings with almost barricaded doors that give the impression of abandoned interiors. Only the name plaque told me I was in the same place, but by night and day it is two very different places indeed. Just one street up sat one of my favorite places: Massolit Books. There is another of these English language used bookstore and cafés in Krakow, but it would be hard to beat Budapest’s. If you’re just exploring, the walk is great (as all walks through former Jewish quarters now are): you pass all sorts of inconspicuous establishments in crummy buildings like the hummus bar I could never find again, some art galleries and weird shops. 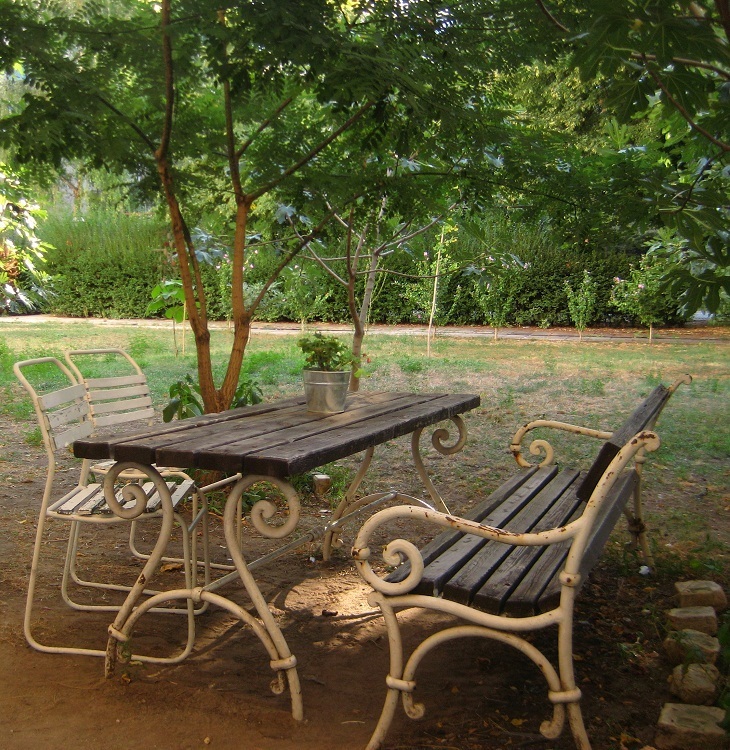 Massolit itself, aside from a good selection of books, has a courtyard out back that looks like someone’s old backyard. Bicycles, potted plants, and random gardening equipment sit against the walls while old tables and chairs with peeling paint stock the middle. It’s probably close to the truth since next door is somebody’s backyard, and fig trees grow in the grass these seem to share without aid of fences. 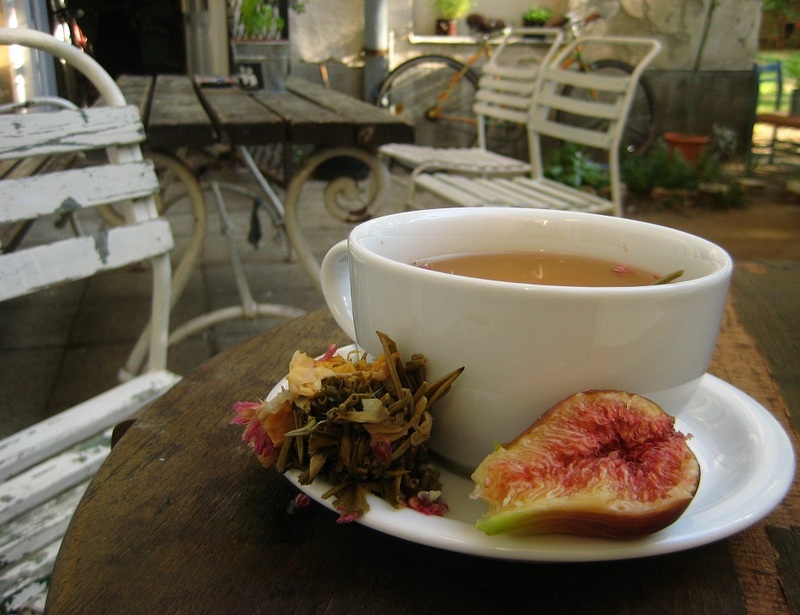 Few things were more enjoyable than picking a fresh fig off a tree and having it with a cup of tea and a good book in this forlorn, peaceful space where a few other people sat doing the same. Walking around this area can be a bit of an adventure. The farther you go from the river in VII and its somewhat nicer southern neighbor, VIII, the crummier the buildings get, at times looking very ruinous. This is where I saw a caravan of women (I can only guess of the gypsy variety) slowly parading through the street, singing American pop songs. This was also where a young gypsy couple emerged from a nondescript gray building that looked like it swallowed all sound in its obscure depths and, as we passed each other, rent an animal screech in my face from its female half for no apparent reason. I tried to play it cool and stare icily back at her, who looked about eighteen, but inside I was having a heart attack. I probably sought refuge in another of my favorite places, in Budapest VIII: Sirius Teahouse, the best teahouse I’ve ever been in, and ever will be in. 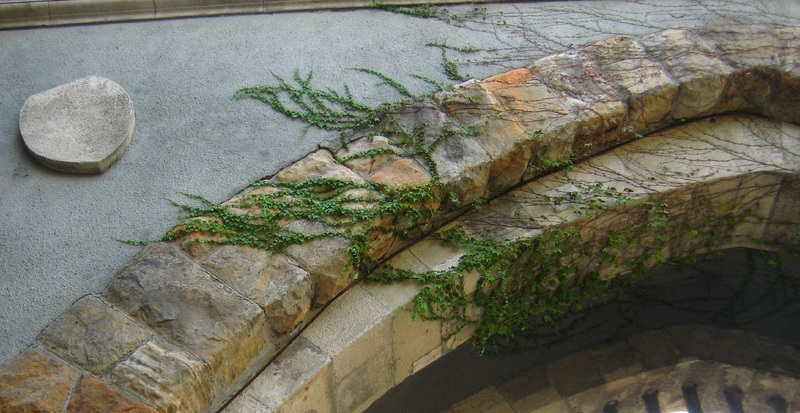 You have to be in decent physical shape to access most of it, and some of it doesn’t seem to have access route. It’s all underground and starts out like a normal café in the front, with cute little chairs and tables with enamel mosaic tops. For the rest you remove your shoes and enter the carpeted floor where pillows and beanbags lie about. Above circles the darkened inaccessible loft, unless the narrow staircase you can only fit half a foot on without a railing to grab is your way up. 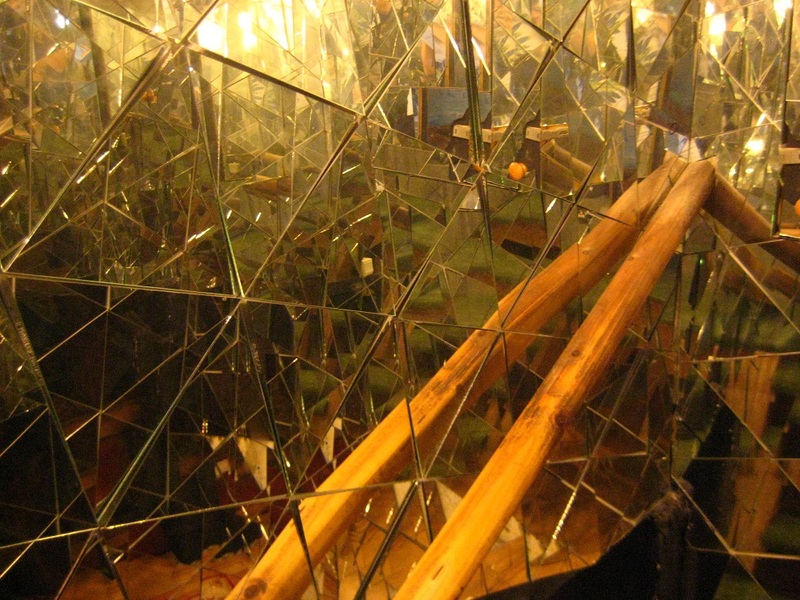 A trippy hallway of mirrors takes you to the more secluded area, with more pillows and another loft you can reach by a thin beam and a net on the side to grab onto. It was here I climbed, sitting by the window in the solace of some very long, lazy dates at the other end. 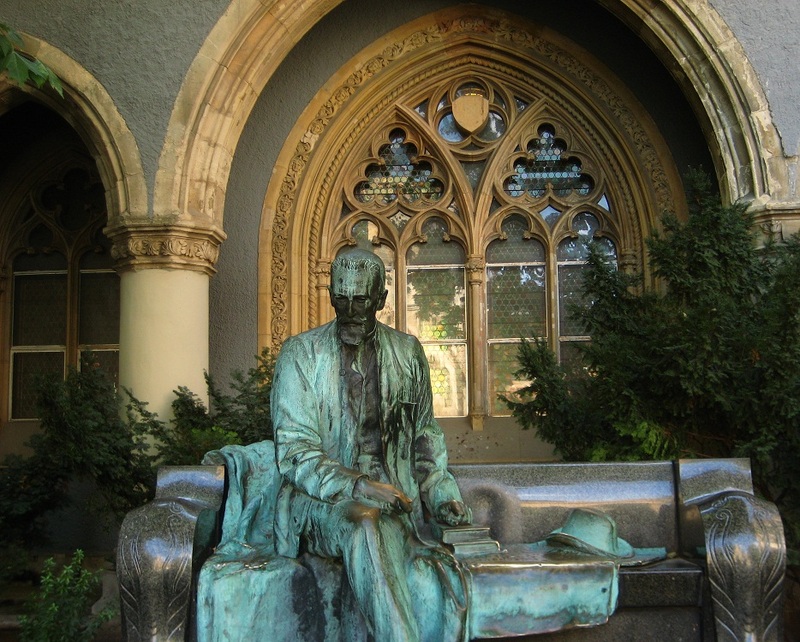 Sirius is the kind of place you can spend all day in, judging by the people who did. It’s almost secondary in a place like this, but they have a great tea selection, too. It’s a shame that you couldn’t have something like this in the U.S. thanks to annoying trifles like safety and hazard codes, not to mention the potential lawsuits more opportunistic members of our society would immediately spot. At least, that’s what would happen around where I live. I’ll have to venture out west one day to see if it’s no different. 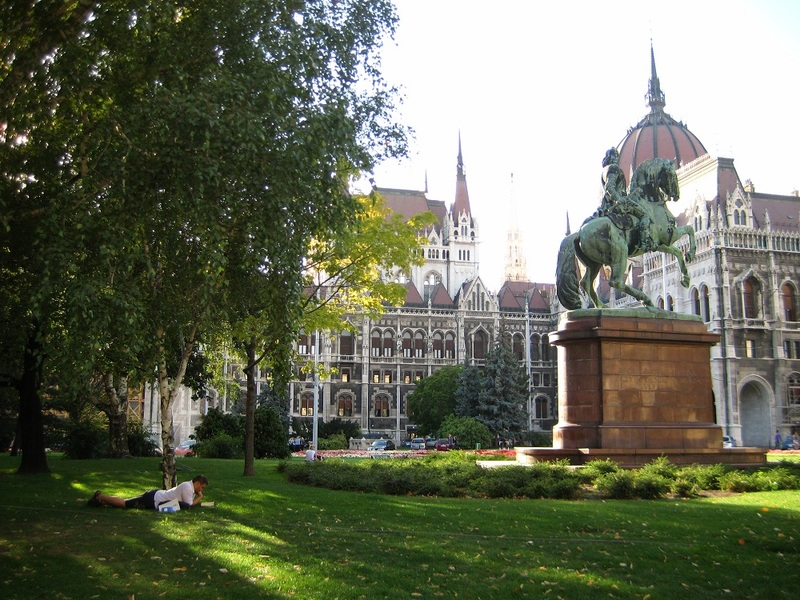 Most of Budapest is a crumbling playground, but Budapest V by the river, where my hostel was, had the real sense of grandeur that was my first impression of the city. The buildings are imposing and vast, also crumbling, but it was this I loved: that rare combination of grandeur and untouched antiquity. 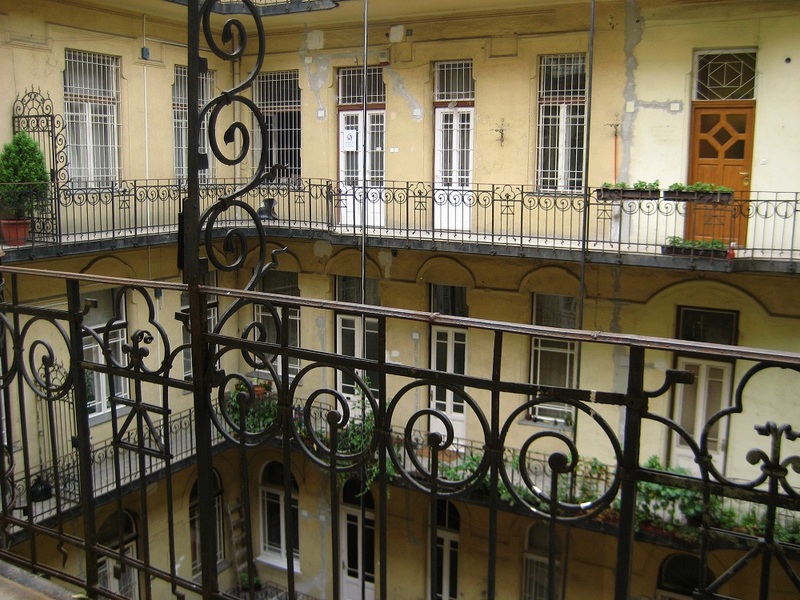 It took me twenty minutes to leave the apartment complex that the Loft Hostel hides in on the first morning, for I was in an old palace of tiled floors, curly railings, concrete stairs, and dirty broken walls. Four towers of apartments with plants hanging off balconies Babylon style enclosed a spacious concrete courtyard with more plants at the bottom. And then you meet the door, a thing twice as big as a normal door that dares you to enter, if your puny bodily weight is enough to throw against its mass. Our area was busy and business; we were near shopping and fine restaurants, and the spectacularly beautiful Parliament building. 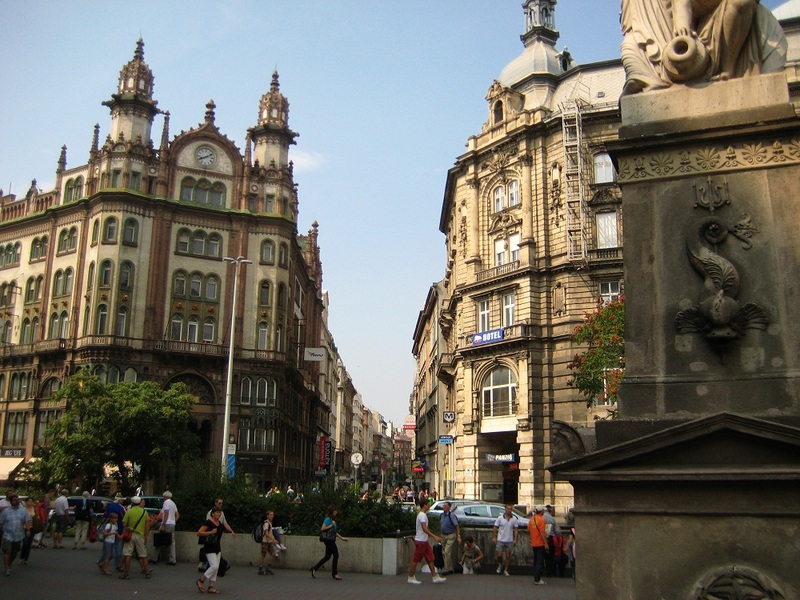 There was one street, Vaci Utca, that annoyed me to no end as being a main shopping street, constantly packed, and in parts nothing but kitsch shops and tourist traps, which are surprisingly rare in Budapest. And to our north the wealth continued into Budapest VI. 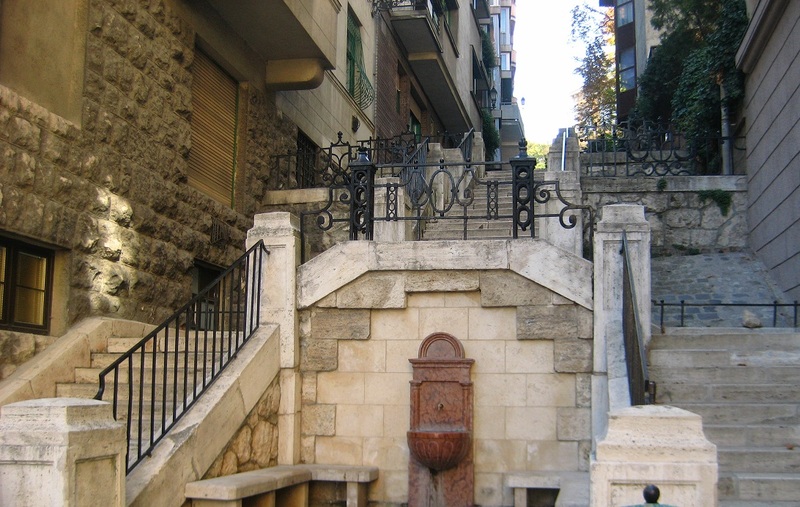 The street between VI and VII, Kiraly Utca, is another fun one to explore. Anything to the right or left of it will lead you on an adventure. Andrassy Utca, cutting through the middle of VI, is a wide, wealthy street with designer stores, government buildings, the Opera House, and, if you like WWII history, the Terror House, an artfully done museum about the Nazi and Soviet occupations of Hungary. You can’t miss its giant “TERROR” sign off the roof in black lettering. 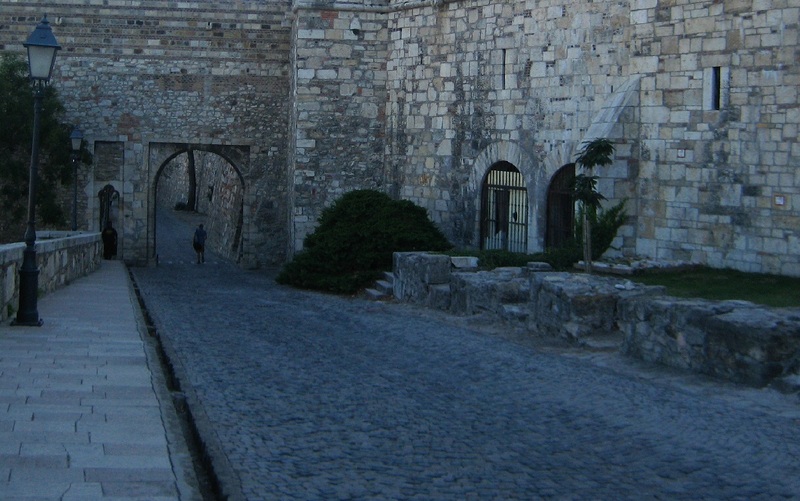 This walk ultimately leads to Heroes’ Square, and another of my favorite places: Vajdahunyad Castle. 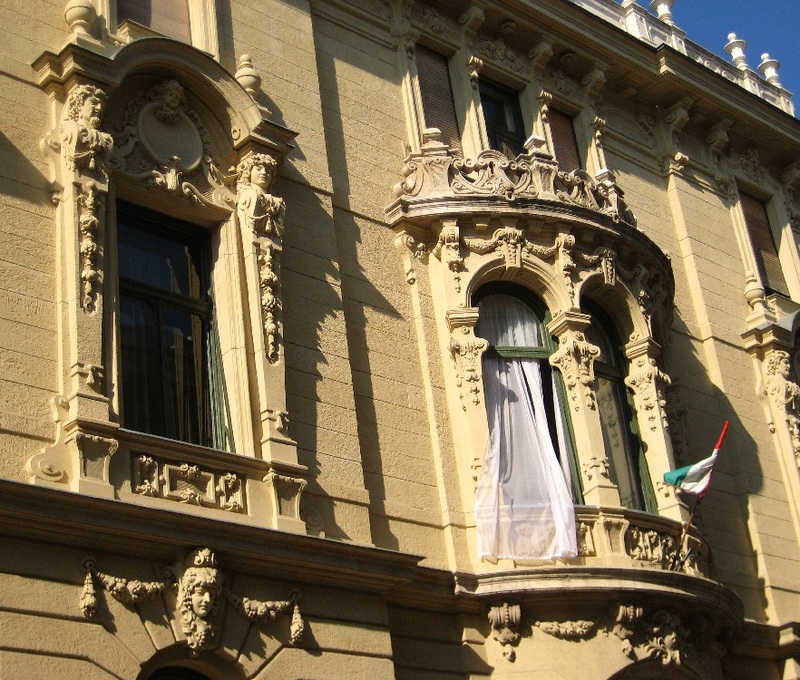 Budapest has two castles, one beautiful and one historically significant. 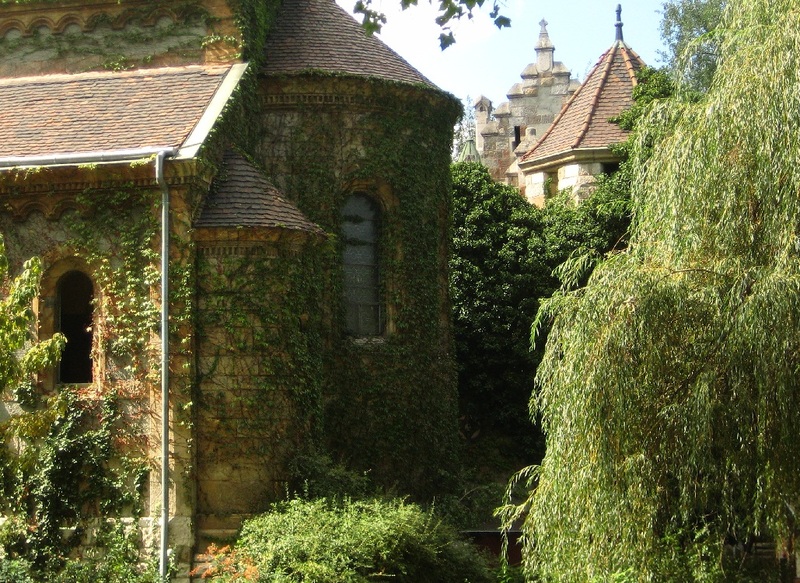 This is the beautiful one, built in the late 1800s and sitting in the middle of a lake, full of gothic architecture and ivy crawling over its stone walls. 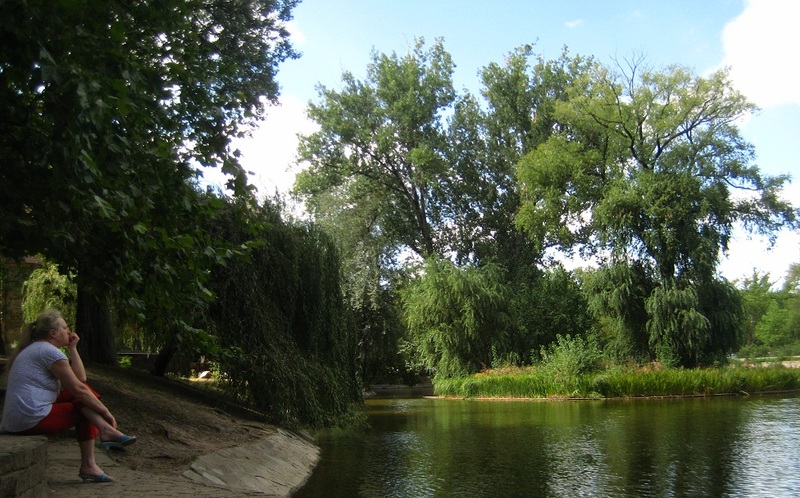 Next to it is one of the loveliest city parks, filled with willow trees and more gypsies. It’s a great place to just lie on the grass and relax, but I got the undeniable feeling I wouldn’t want to be there alone at night. 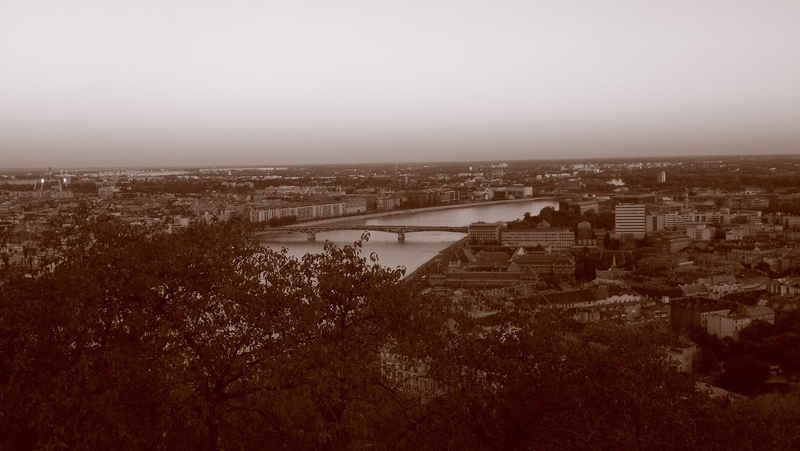 The Danube River splits Budapest into its two historically separate cities of Buda and Pest, and after four days on the flat, busy Pest side, I finally crossed the white bridge to quiet, hilly Buda. It felt almost suburban and much classier, a remnant of being on the castle side I guess, with the more expensive looking shops and restaurants. This is where Buda Castle has sat since the 13th century, another place worthy of a visit. My main draw on the Buda side, however, was the Citadel, which you must do. It’s a hike, and sure at the top you’re met with a ring of kitsch shops and overpriced water bottles around a sacred space, but the views are spectacular. From here you can see the sprawl of mixed wealth, old world in Buda with its crumbling now-defunct train station, modern hotels and businesses along the river fading in to slums in Pest. You should go before sunset to explore the secluded park behind the Citadel that feels like a truer escape from the hubbub of the city. At sunset you should line up with the rest and watch the sun set over the river and the lights of the two sides come on. 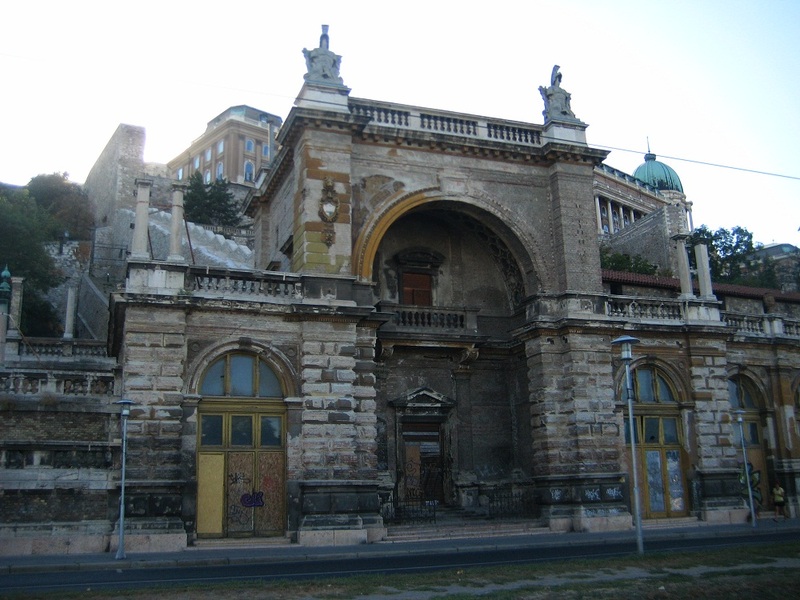 Both Buda and Pest have the one important thing I missed out on: the baths, one of Budapest’s main draws. I’ve heard the best one is on the Buda side. In spite of that, and in spite of the fact that I got screamed at by a gypsy, Budapest was hands down my favorite European capital. First off, it’s simply beautiful. Second, it has a laid-back and informal attitude. Last is its abundance of hidden gems. There’s a bubble tea stand in one of the pedestrian tunnels, a 24-hour crepe place off the metro stop at Bathhyany Tere, the huge market in the old train station where you can get cheap produce, a piano bar somewhere in the Jewish quarter that awards performances with free drinks, and off the map courtyards cutting through apartment complexes that house Sunday markets. As we walked through one of these on the walking tour, our guide told us about life here in the 1920s, a fun time for much of the world. 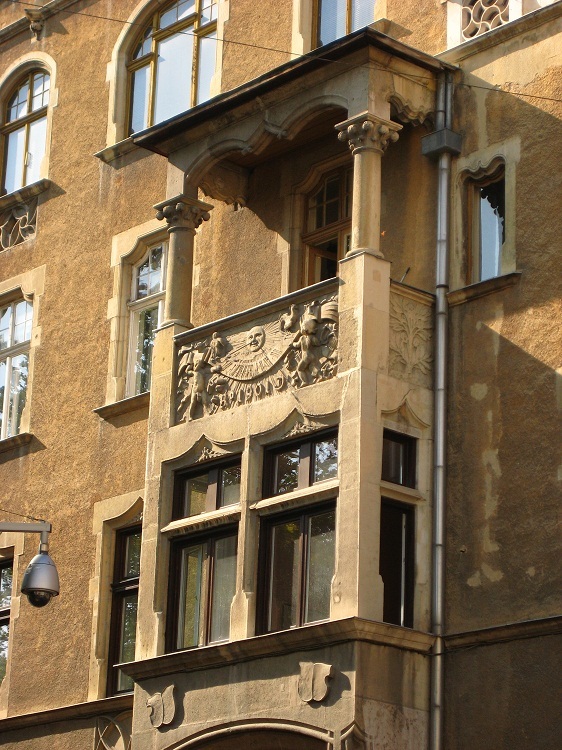 There were cafes based on profession – engineers’ café, architects’ café, writers’ café, and even a poets’ café, where competitions for the best poetry afforded the winners sponsorship. As a bonus, I felt completely safe walking around by myself at night if I needed to get cash or a late night kebab. Sometimes safer than in the day, when the streets feel far less packed. It would be a great place to live for a while. Only, don’t bother learning the language; it’s one of the toughest in the world.